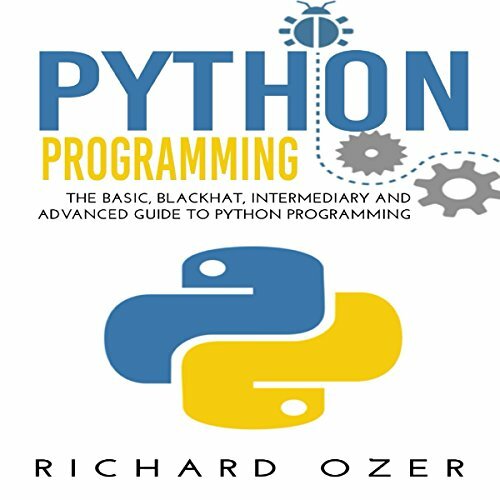 Note: This is a 4-in-1 bundle guide for python programming. Take advantage of the cost savings on this bundle deal and learn python programming today! Python is on the rise in the world of coding and many popular technological devices from the Raspberry Pi to the Linux operating system use Python as a crux for not just education, but implementation. Python can help you code your own software, develop your own games, and even format your own home surveillance system! It is, hands down, one of the most useful coding languages around, and the way it is formatted cuts out a great deal of the fluff that other coding languages have a tendency to be bogged down with. Whether your interest in Python is educational, career-based, or born out of a simple curiosity, it is a programming language you should know, be fluent in, and put on your resume. This world is quickly evolving into a technology-based society, and knowing a coding language as prominent as Python will not only ensure you a job in the future, but it will provide you with a thick foundation to then build your coding language on, should that be something you are chasing. However, no matter the purpose you have chosen for learning this language, there is no beginner’s audiobook that breaks down the language into its original components and strings them together cohesively better than this one. If you are looking for an audiobook that is easy to understand and still provides the easy-to-digest guidance you want, then look no further. didnt think a progrqmming book would be amazing for audio to begin with, just wanted something to passivle take in info at work. however, the narration is so robotic, Google maps would have been a better narrator. its terribly monotone and doesnt sound like someone teaching you. just like a gun to their head if they dont read it. How to return this peace of garbage? I wouldn't believe if someone have told me that audible is selling such books. Everything is a garbage - the content and the performance. The good reviews are fake! It's exhausting to listen to spelled source code and often the phytonic indentation is not known, which makes it even harder to understand. After 1/2 hour I returned the book.